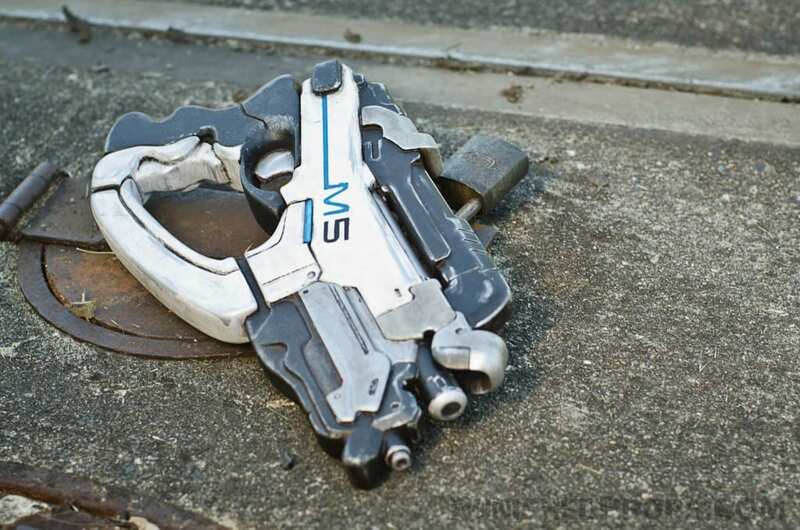 Back when I made a prop replica of the N7 Eagle pistol from Mass Effect, I specifically planned on making it easy to convert a casting of the Eagle into the M-5 Phalanx pistol. 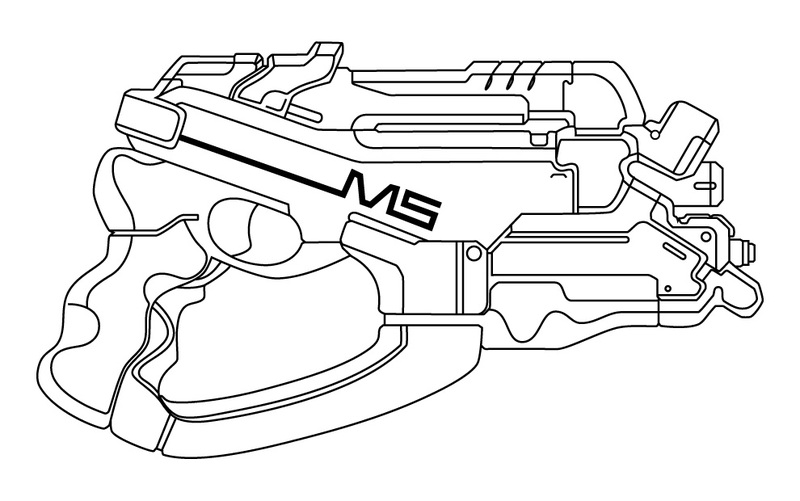 The M-5 is my favorite pistol from the series, so I wanted to be able to make one for myself. 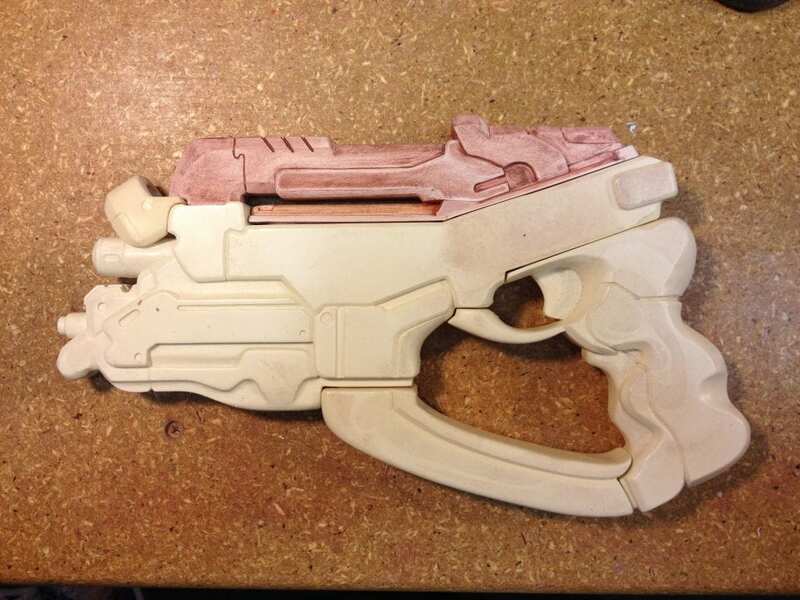 It turns out that it isn’t just my favorite, and I’ve been getting requests for the Phalanx from other folks, so I finally carved out some time to make a conversion kit. 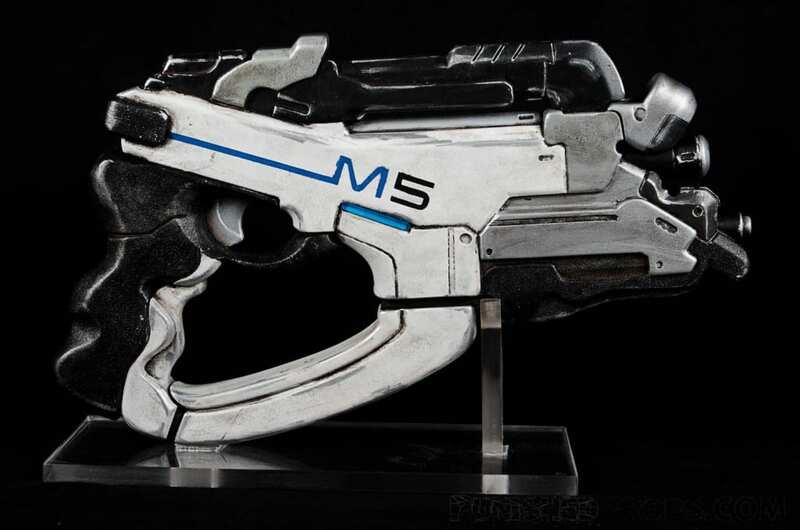 The body of the M-5 is almost exactly the same as the N7 Eagle. 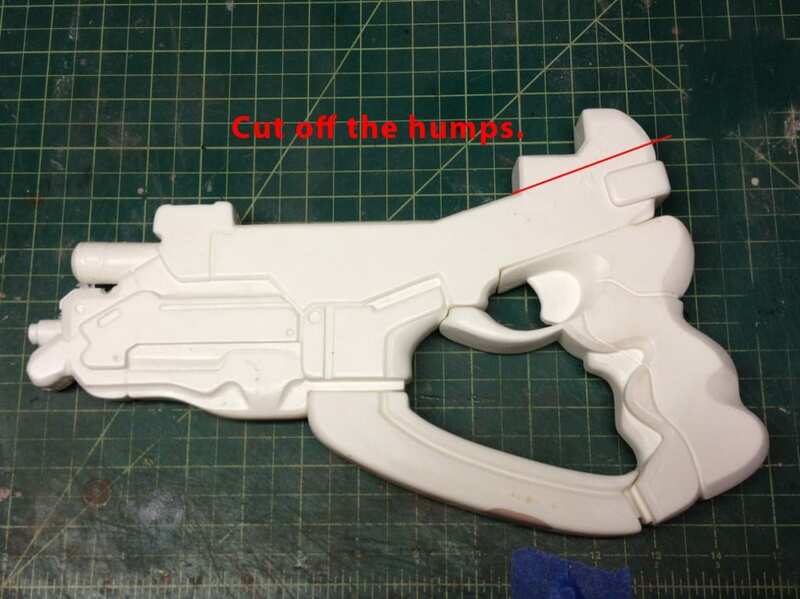 To see how I built that, head on over to that post here. 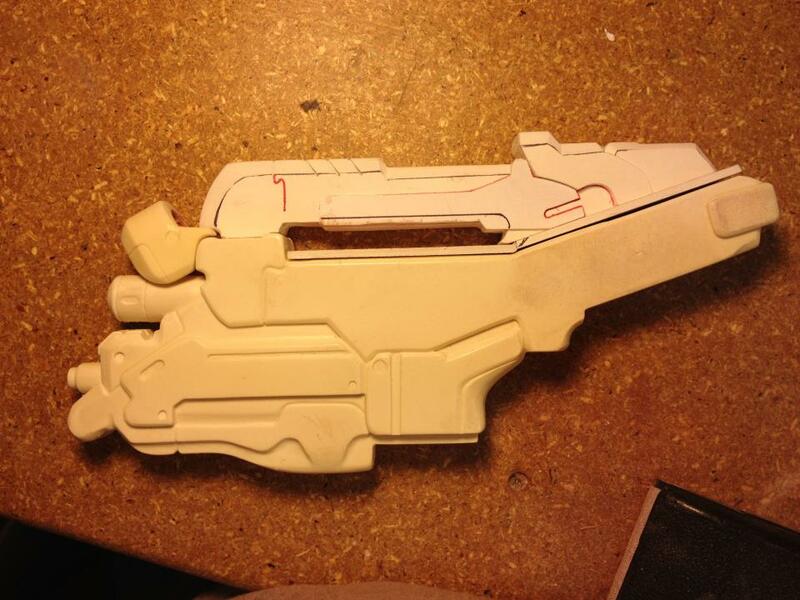 The main body part of my plastic resin Eagle kit is nearly identical, minus the angled bits on the back end. So I cast an Eagle body and hacked off the back with a coping saw. After that, I had to build the new top bit. 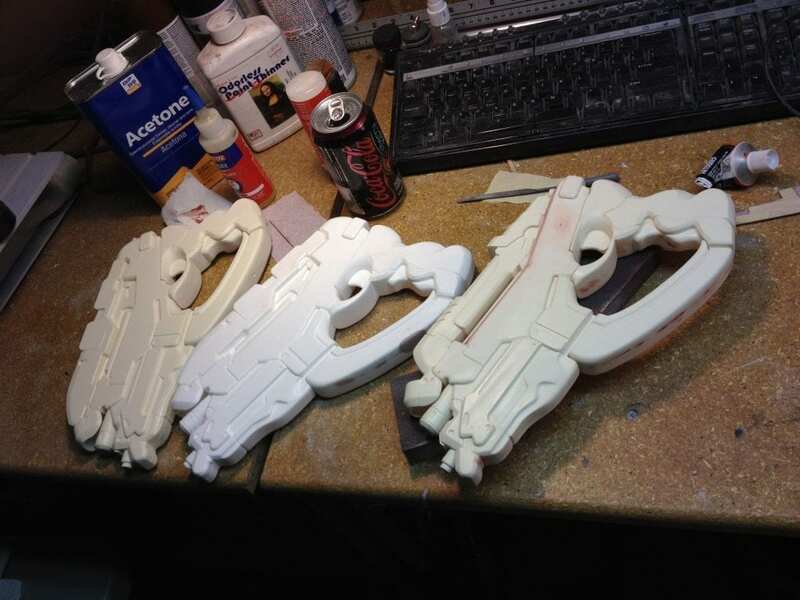 Most of that build was identical to how I built the body of the N7 Eagle by layering pieces of foam PVC. I don’t have many photos of the process, so you’ll have to use your imagination a bit. 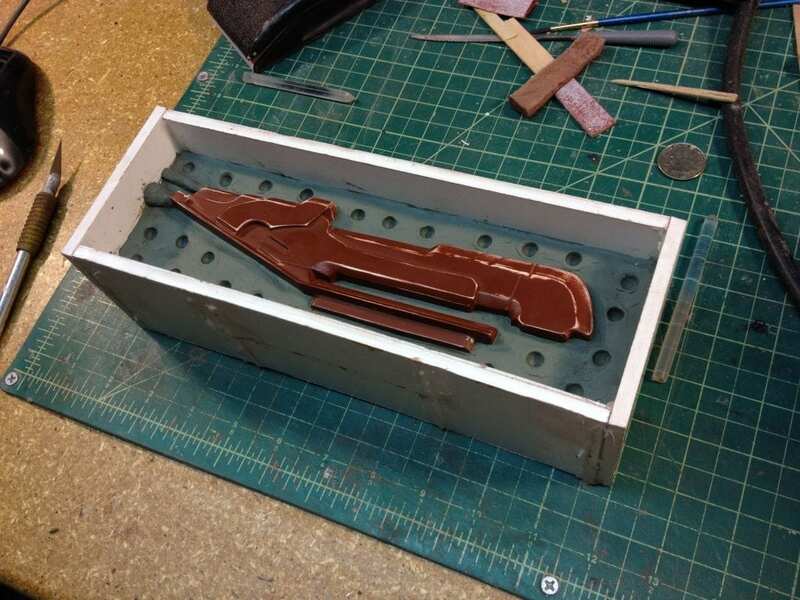 The bit that loops over the barrels was cast from my Eagle top piece mold, cleaned up, and then remolded as its own stand alone mold. It doesn’t actually attach to the top kit piece like it does on the Eagle, so it has to be attached to the main body piece. 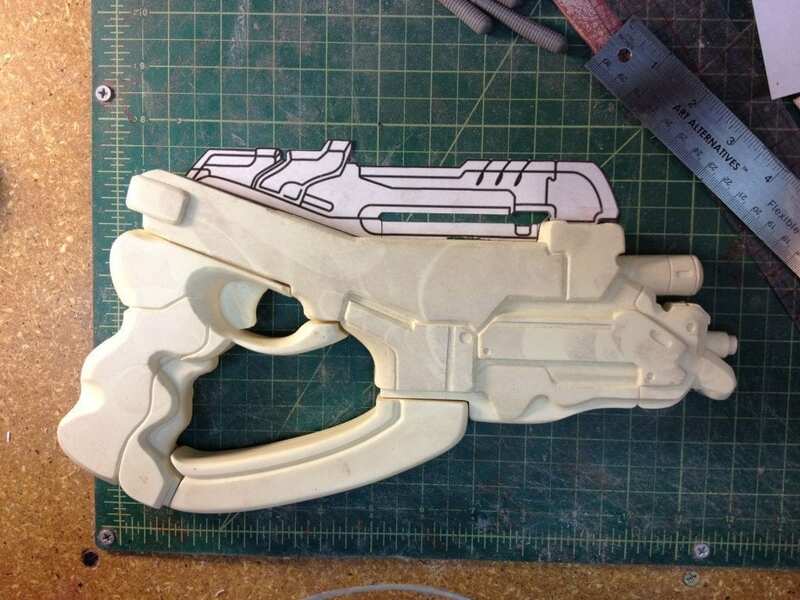 This new top piece was also getting molded, so I got it all prepped for that. 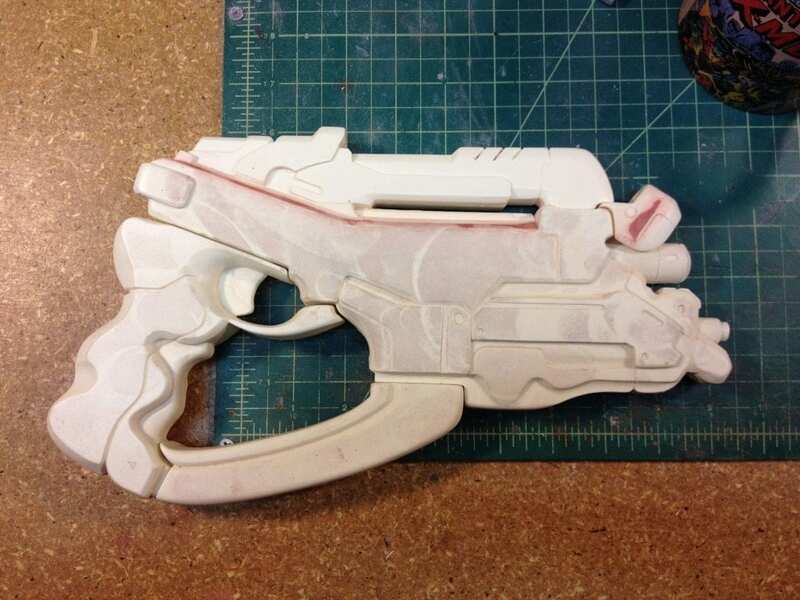 You’ll notice that there is a seam between the new top piece and the main body, this will need to be filled with each cast, which is a pain, but the Phalanx doesn’t have a nice line there like the Eagle does. 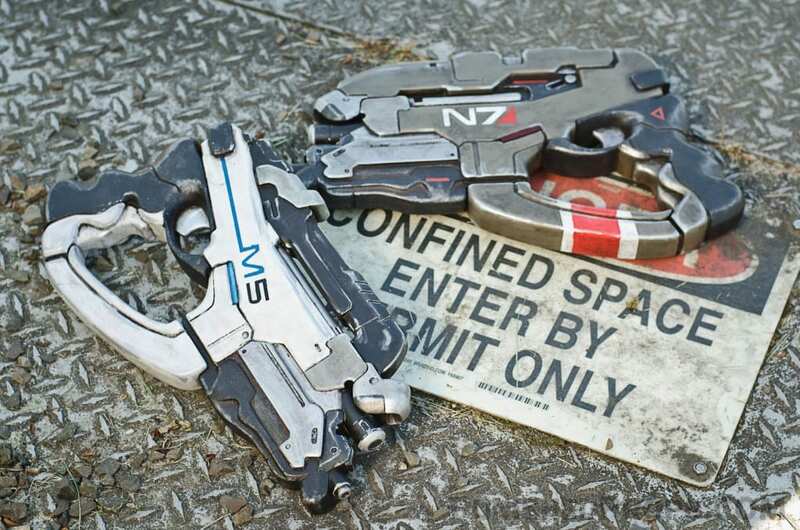 Here’s a finished kit of the Phalanx compared to some N7 eagle kits. You can see where I’ve filled in the seam on the Phalanx where the new top piece has been attached. 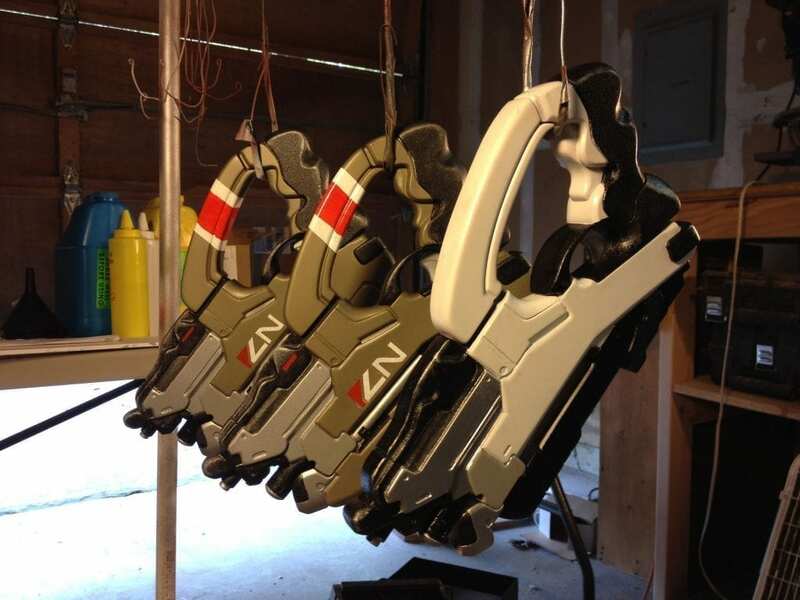 The Phalanx gets painted pretty much the same way as the Eagles. That’s just about it! 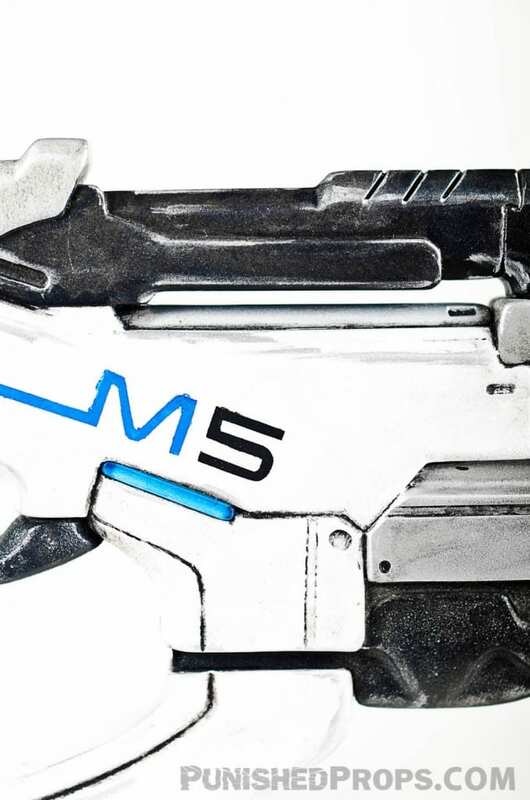 Here’s some pretty shots of the gun. More photos can be found on my flickr page.